ST. LOUIS, MO – A University of Missouri–St. 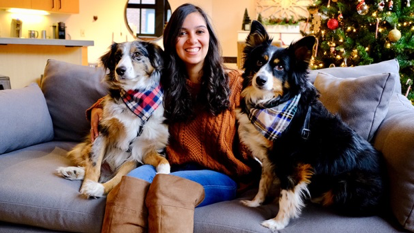 Louis College of Nursing student is being credited with saving her neighbor’s apartment and two dogs after she discovered a fire in their kitchen. She was alerted to the fire by the apartment’s fire alarm, but when she went to check on the apartment, she learned that her neighbors weren’t home. After calling 911 and contacting the neighbors, she was able to get into the apartment and use a portable fire extinguisher to put out the flames. She found their two dogs hiding in an upstairs bedroom and worked to clear smoke out of the room until fire authorities and the homeowners arrived.